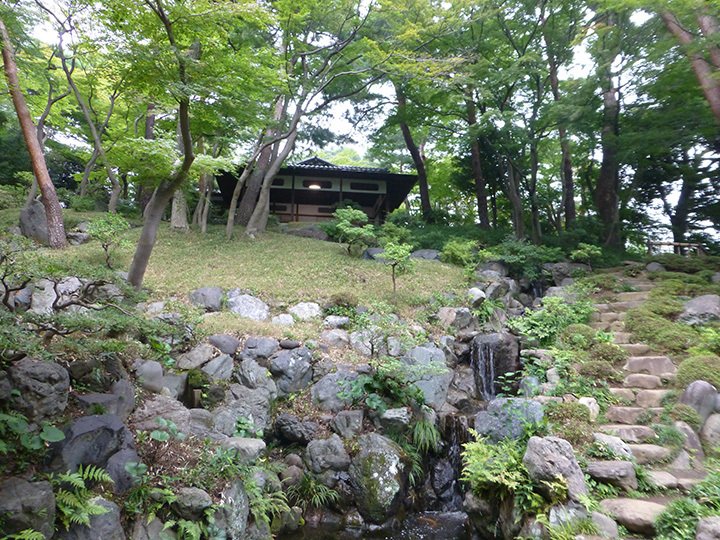 This is a Tokyo metropolitan garden requiring an entrance fee, which is nationally designated as a place of scenic beauty. The landscaped garden tastefully incorporates natural vegetation and geographical features. In fall, the colorful Japanese maple leaves seen from the tea house "Koyo-tei" are splendid. This is a must-see garden. * Admission is allowed until 30 minutes before the closing time.